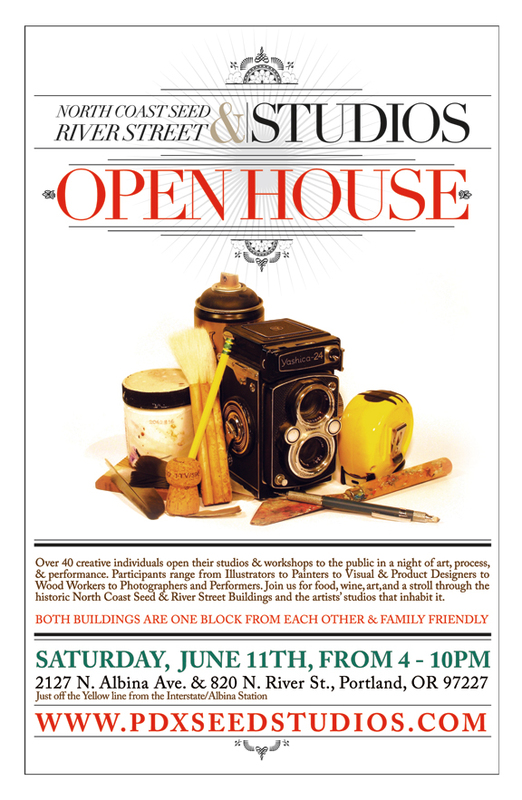 Its our annual open house event! Last years is still being talked about, and was one of most dynamic and memorable open studios in many years according to our tenants and visitors. This year we began planning the event months earlier than last year and we have an additional building a block away filled with artists who will also have their doors open. Because of our overwhelming crowd last year, we have started 2 hours earlier to accommodate our visitors better . Many units who were not open last year, will be this time and we have twice the artists confirmed this year than we did last. Over 40 creative individuals open their studios & workshops to the public in a night of art, process, & performance. Participants range from Illustrators to Painters to Visual & Product Designers to Wood Workers to Photographers. Architects, and Performers. 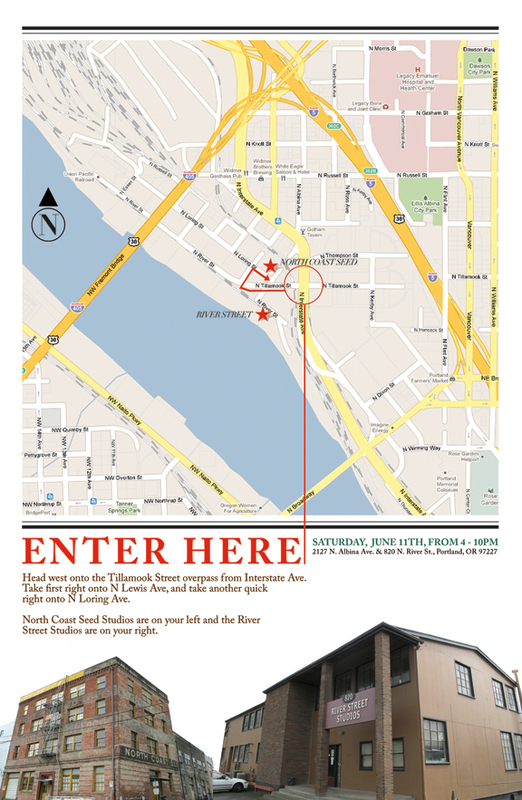 Join us for food, wine, art and a stroll through the historic North Coast Seed & River Street Buildings and the artists’ studios that inhabit it. May 9, 2011 | Filed under Events.